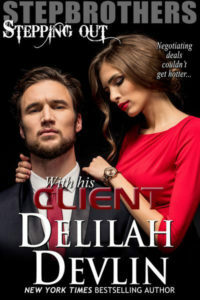 Thank you Delilah for letting me guest blog today, because today’s a very special day for me. 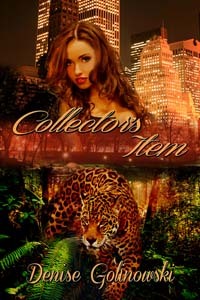 It’s Release Day for COLLECTOR’S ITEM, my new paranormal romance from The Wild Rose Press. To find her missing aunt, a headstrong shapeshifter joins forces with a cynical Alpha to investigate an illegal hunt club, but when their plan backfires can she escape a trap of her own making? To celebrate this special day, I’m sharing a little about the development of my shapeshifter story. Also, I’m inviting everyone to enter my COLLECTOR’S ITEM Release Week Contest, running now through May 23rd. See details below! When creating COLLECTOR’S ITEM, I decided that I wanted to use a feline shapeshifter instead of a werewolf. Nothing against werewolves, but I’ve always been a cat person. Also, by not choosing to do werewolves, my shapeshifters would not be tied to the moon’s cycles, giving them more autonomy. However, the biggest difference in my shapeshifters is that I gave the animal side of my shapeshifters their own names and distinct personalities. The heroine, KT (Katarina Teresa) Marant, shares her consciousness with Andi (Andromeda). The hero, Peyton Allers shares his consciousness with Max (Maximilian). The animal personalities fulfill the role of “side-kick,” and provide a bit of comic relief as well. The story of COLLECTOR’S ITEM begins when a member of KT Marant’s family disappears and KT Marant immediately suspects the Collectors. As the trained, but inexperienced Female Alpha of the Marant Clan, KT has the skills but lacks the knowledge to follow through on her suspicion. 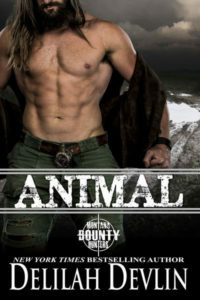 Enter Peyton Allers, an undercover Alliance Protector and Alpha in his own right. Peyton Allers struggled to contain his temper as he faced the “princess” of the Marant clan, AKA Katarina Teresa Marant. Because a high-blood princess had slipped her leash and made herself a target for the Collectors, his cover and his operation were blown. No simple “chip & tip” would do for this Collector’s Item, damn it! Added to the inevitable hysterics and demands for protection, he’d be elbow deep in politics. God, he hated politics. Bowing and scraping while maneuvering to find the best location to stick in the knife. Not with this one, his jag, Max asserted. The princess stood behind the couch, hands on hips, a tiny crease between her eyebrows while she looked from Massey on the rug to him and back. No hysterics in sight, Peyton noted with relief. Points for restraint. Princess, Peyton countered. Even they had their moments of intelligence, but he knew better than to expect more. To see how this all works out, I invite you to read COLLECTOR’S ITEM, now available from The Wild Rose Press. Easy Peasy you can have 4 entries in the drawing. ABOUT DENISE: Denise Golinowski has always been a writer. A hopeful romantic, she gravitated to fantasy and romance. 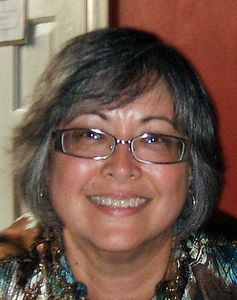 She is a PRO member of the Romance Writers of America, Virginia Romance Writers, and James River Writers. A native of Richmond, Virginia, Denise lives with her uber-supportive husband and one devoted lap kitty. She is currently working on a Contemporary Paranormal Romance involving another member of the Marant Clan—KT’s older brother, Peter Marant. You can find her on facebook at Denise Golinowski/Author and at her blog, Golinowski’s Gambol.